Bideford Black – a new commission. 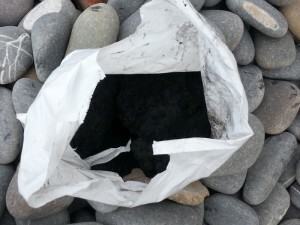 Neville and Joan Gabie have recently been selected by Flow Projects and the Burton Art Gallery, Bideford, to develop a new work in response to the naturally occurring pigment, Bideford Black. The work will be developed over 2014/15 with an exhibition to be held in September 2015. Neville and Joan will be working in collaboration with Professor Ian Cook, Social Geographer at Exeter University.